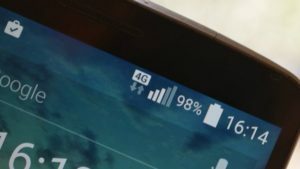 Kyivstar, the largest mobile communications operator in Ukraine, in a year after receiving the 4G license has built LTE network covering 4,587 localities where 58% of the Ukrainian population, the company reported on Wednesday. “Now Kyivstar has more than 24,700 towers. They provide 3G connection for 81% of the population and 4G connection for 58%,” the company said in a press release. According to Kyivstar, the development of 3G and 4G communications in Ukraine cost Kyivstar UAH 22.5 billion in 2015-2018, of which UAH 7 billion was paid for licenses for new communication technologies, UAH 3.5 billion for using frequencies, and UAH 12 billion was invested in the construction of communication networks. 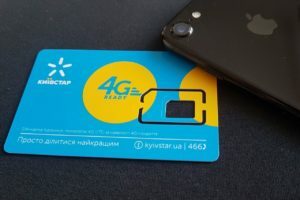 “In 2019, we intend to increase investment in the development of 4G, so that as many Ukrainians as possible get access to new communication technologies,” the press service said, citing Kyivstar President Alexander Komarov without specifying other details. The company said that the rapid expansion of the 3G and 4G network made it possible to boost the volume of Internet traffic: over the year, data traffic grew by 300%. According to the press release, in March 2019, 46 petabytes were used in the Kyivstar network (of which 43% in the 4G network) – the same as in the entire 2016. According to the company, in a 4G network, a subscriber uses an average of 5.6 GB of mobile Internet per month, while in a 3G network – 3.8 GB, and 70% of business clients in a 4G network upload data to cloud storage. Kyivstar said that subscribers use 4G in locations where fixed-line Internet is not available or its speed is low. For example, in a number of villages in Kherson region, the average usage of 4G per subscriber is 75 GB per month, in Lviv region – 56 GB, and in Zaporizhia region – 50 GB. For comparison: in large cities, the average consumption of data traffic in a 4G network: Uzhgorod – 12 GB per subscriber; Kherson – 10.59 GB, Dnipro – 6.64 GB, Kyiv – 6.25 GB, and Odesa – 6.19 GB. “In the first quarter of 2019, Kyivstar connected 968 localities to the 4G communications network, connecting 10 new localities per day. This happened in all regions,” the company said. According to Kyivstar’s press service, today the operator’s 4G communications network is available in 4,587 localities in the territory where 24.1 million people live (58% of the population of Ukraine). Kyivstar is a Ukrainian mobile communications operator. VEON international group (earlier VimpelCom) is the shareholder in Kyivstar. The group’s shares are listed on NASDAQ (New York). 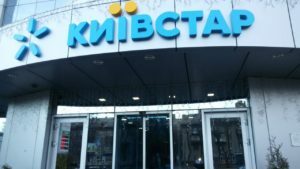 The leading Ukrainian mobile communications operator Kyivstar (Kyiv) in 2018 saw UAH 6.802 billion in net profit, which is 10.3% more than in 2017, according to a company announcement on holding the annual general meeting of shareholders scheduled for April 22, 2019. According to the report, the retained earnings of the company at the end of the year totaled UAH 15.778 billion compared with UAH 16.217 billion a year ago. “To determine that the accumulated retained earnings of the company as of the end of 2018 are retained earnings that are subject to further distribution in the form of dividends (annual or interim) or any other use as decided by the general meeting of shareholders of the company,” the company said in a draft decision of the meeting. In accordance with the announcement, at the end of 2018, Kyivstar had UAH 5.2 billion of free cash. Its noncurrent liabilities for the year increased slightly, to UAH 0.34 billion, while the current liabilities by 80.3%, to UAH 7.78 billion, and the total receivables decreased 23.8%, to UAH 1.03 billion. In 2018, the company increased its fixed assets by 13.5%, to UAH 8.11 billion, and its total assets increased by 14.1%, to UAH 24.81 billion. 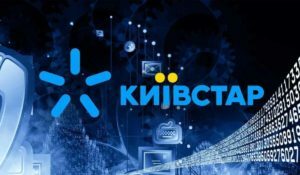 The largest Ukrainian mobile communications operator Kyivstar has won a tender to select a mobile communication operator to service the largest mining and metallurgical group in the country Metinvest initiated by the logistic and procurement directorate of Metinvest Holding LLC and Metinvest Digital LLC. “Intensive piloting of projects using new technologies together with mechanisms for rapid testing of ideas in the digital field allows the Metinvest Digital team to increase the digital maturity of the Metinvest Group..,” Kyivstar said in a press release on March 15, citing Metinvest Digital Director of the IT service provision department Serhiy Fedchun. According to him, the long term cooperation with Kyivstar will allow Metinvest to build reliable channels to create a platform for digital business solutions and significantly increase the level of mobile services for the group’s employees. Director for Corporate Market Business Development at Kyivstar Yevhen Krazhan said that the cooperation of the companies is a long term strategic project. Under the terms of the signed agreement, it envisages the provision of high quality mobile communications and related services to employees of the Metinvest Group, cooperation in projects for digital modernization of enterprises and the creation of high-tech conditions for the efficient operation of the business. Director for Logistics and Procurement at Metinvest Holding LLC Oleksiy Hromakov said that the agreement also fixes transparent pricing and flexible optimal tariff plans for five years in order to minimize communication costs both in Ukraine and abroad. 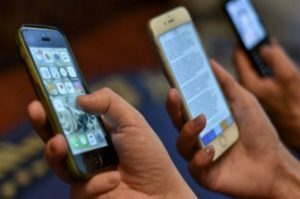 Ookla (the United States), the developer of Speedtest service, has said that Kyivstar mobile communication operator is Ukraine’s Speedtest Awards Winner for mobile network speed, according to the Ookla Speedtest report posted on the Speedtest website. According to the report, in 2018, the company made over 4.73 million test counts for subscribers of all mobile operators. In particular, the total number of test counts in the Kyivstar network was 2.2 million with average download speed of 17.94 Mbps and average upload speed of 8.99 Mbps. Some 1.43 million test counts were made in the Vodafone Ukraine network with average download speed of 14 Mbps and average upload speed of 6.63 Mbps, and in the lifecell network 1.1 million test counts were made with average download speed of 16.64 Mbps and average upload speed of 6.69 Mbps. According to Ookla, Kyivstar’s Speed Score was 16.32, lifcell’s – 15.10 and Vodafone Ukraine’s – 12.74. Speed Score incorporates a measure of each provider’s download and upload speed to rank network speed performance. A total of 632,300 unique devices launched the Speedtest application in Ukraine, including Redmi Note 4 (33,100 test counts), iPhone 7 (27,000 test counts), Redmi 4X (25,300 test counts), iPhone 6s (24,600 test counts), and iPhone 6 (18,800 test counts). According to the Ookla report, in February 2019, Speed Score for mobile networks in Ukraine was 17.10, and the country ranked 93rd among 137 countries in the Speedtest rating (51st among 177 countries in terms of fixed-line Internet speed).